At Lakeside Dental, our team of talented dental experts, including Reno dentist Dr. Alan Topham, work hard to provide all of our patients with comprehensive care that helps them achieve and maintain the smile they’ve always dreamed of. From preventive exams to extensive restorative work, we can take care of all of your needs right here in our convenient office. Quality preventive care is key to maintaining your oral and overall health. Dr. Topham and our team perform a variety of preventive services. Regular cleanings and exams of your teeth, gums, and jaw are recommended every 6 months to maintain optimal oral health. Fluoride increases your teeth’s resistance to acid and plaque buildup, which, in turn, protects your teeth from decay. Fluoride treatments are available for adults and children. Dental sealants are typically applied to children’s teeth shortly after their molars begin to erupt. Sealants protect molars and premolars from tooth decay. During your exam, our team checks your gums, lips, and entire mouth for early warning signs of oral cancer. Nearly 42,000 Americans are affected each year by oral and throat cancer, and early detection is key to treating the disease. Schedule your preventive appointment with Dr. Topham and our team today! Do your teeth need a little TLC? Give your smile a second chance with our numerous restorative services. Composite, or tooth-colored, fillings don’t just look more natural among surrounding healthy teeth. They also require less preparation and leave behind more of your healthy tooth structure. Crowns are porcelain caps that are placed on teeth that are cracked, broken, or missing entirely. If you need a crown, an impression will be made of your mouth to guarantee the best fit possible. Once placed, Dr. Topham will adjust the fit of your crown until it looks and feels natural. Bonded crowns function just like your natural teeth. Dental bridges attach to crowns to replace one or more missing teeth. A crown is placed on teeth on either side of the gap, and false teeth placed along the bridge fit into the space of the missing tooth or teeth. Dental implants are the patient- and doctor-preferred method for replacing one or more missing teeth. The implant is a small, biocompatible titanium screw that is placed into the jawbone where the missing tooth was. The screw fuses with the bone to create a sturdy anchor for a restoration, typically a crown. Dentures replace many missing teeth and help maintain the proper shape of your lips and face. Thanks to improvements in materials and fabrication techniques, dentures look and feel more natural than ever before. In no time at all, you’ll be on your way to eating the foods you love and smiling with confidence again! If you have an infected tooth, don’t suffer through the pain. Reno dentist Dr. Topham offers root canal therapy to help remove the infection and relieve your pain. Root canal therapy involves removing the infected pulp tissue of the tooth and cleaning the inside of the tooth. Once the tooth is cleaned and sealed, a crown is placed to protect your tooth from further infection. Often, patients associate root canal therapy with pain. However, the pain caused by the infection is typically much worse than any discomfort you may feel during the treatment. Plus, the much-needed pain relief allows you to get back to and enjoy life again. Wisdom teeth typically erupt in late teen or early adult years. Because they are the last teeth to erupt, there is not usually enough room in the mouth for wisdom teeth, which leads to teeth coming in crooked or only partially. Wisdom teeth extraction is the best way to prevent overcrowding of your other teeth, as well as abscesses, or infections that can be caused when teeth don't erupt properly. If extraction is necessary, sedation will be provided to ensure your comfort throughout the procedure. Call our convenient Reno office to schedule your restorative treatment. If your smile just needs a little boost, let our team help give you a smile you’ll be proud to show off. Veneers are thin and durable sheets of tooth-colored porcelain that are adhered to the front side of your teeth to close small gaps, cover chips, or even correct severe discoloration. Dr. Topham will consult with you about what your ideal smile looks like, and then veneers will be created based on your goals. Veneers look and feel natural, and they immediately change the look of your smile. Brighten your smile with our custom whitening trays. Our team will create a set of made-to-fit trays and send you home with professional-strength whitening gel. Based on your whitening needs, Dr. Topham will suggest a whitening schedule for you. Wear the trays filled with the whitening gel on your recommended schedule for a beautifully white smile. Call Lakeside Dental today to schedule a cosmetic consultation. If you suffer from dental anxiety, you are not alone. Feeling nervous or anxious about going in for even a routine cleaning is something many people face. If you are nervous about undergoing treatment in our office, ask our staff about the relaxing sedation options we have available. Also called laughing gas, nitrous oxide is administered through a mask worn over the mouth and nose. The sweet-smelling gas produces feelings of extreme relaxation. The effects are easily reversed with just a few minutes of pure oxygen after your treatment is complete. If you are having more extensive treatment done, oral conscious sedation can help you stay relaxed while our team works. Dr. Topham will carefully prescribe a pill for you to take shortly before your appointment begins. 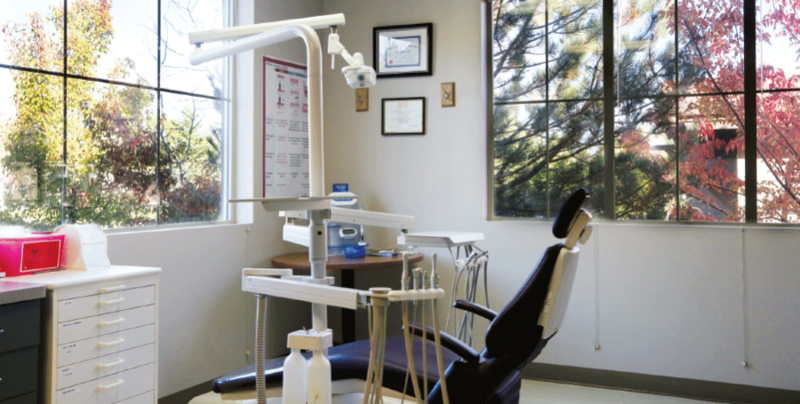 By the time you’re in the dental chair, you will be feeling completely relaxed. Oral conscious sedation leaves the patient conscious throughout the procedure, so the team can interact with you and ensure you’re getting the care you need. Call our office today to learn more about our sedation options. At Lakeside Dental, we pride ourselves on using the most advanced technologies available to ensure that our patients receive effective, efficient care. DIAGNOdent® cavity detection helps up detect decay and cavities in their earliest stages. This allows for more conservative and comfortable treatments.